This 1931 poster by artist André Lecomte celebrates ski racing in the historic Swiss resort of Mürren. Artwork courtesy Vintage Ski World (vintageskiworld.com). In letters and online, ISHA members take a hard look at how steep day-ticket prices—and mega-passes like Ikon and Epic—are impacting the sport. Ski celebs gather in Aspen to celebrate the late Bob Beattie, James Niehues raises $600,000 for trail-map book, Wurteles win Order of Canada, first laceless ski boots. Plus: Vonn or Stenmark—who was the best? Fatal avalanche in Klosters for Prince Charles’ royal equerry (1988), Scottish-French Canadian is world’s best racer (1953), ski patrol heroes of the Sierra (1943). 13 Why Is It Called That? Logging lingo is reflected in the trail names at Sugarloaf, Maine. Connie Nelson, director of the Alf Engen Ski Museum, wins ISHA Lifetime Achievement Award. 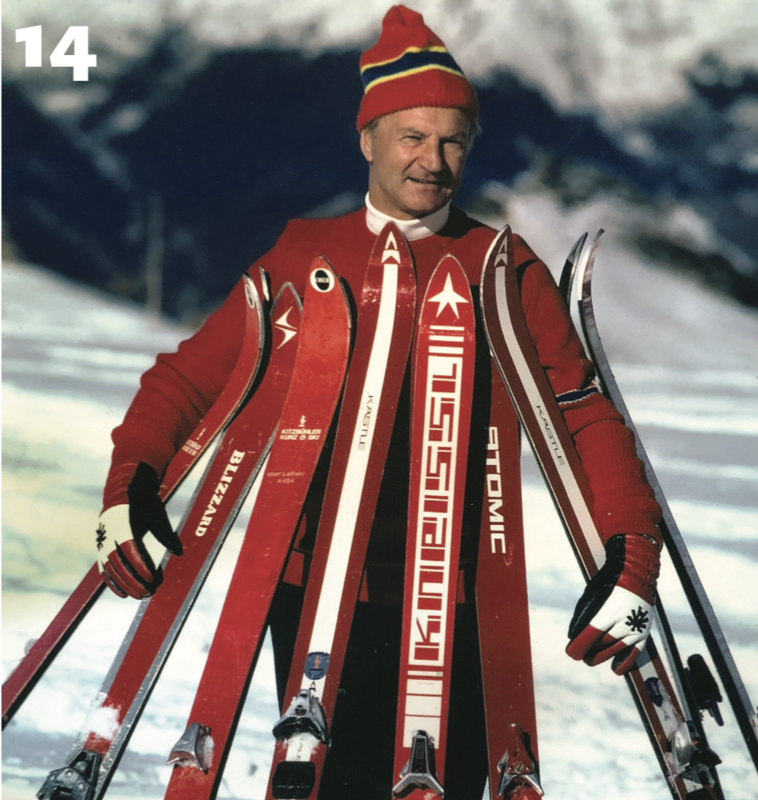 Plus: The best ski-history books of 2018; ISHA member Heino Nowak has been collecting vintage gear since the 1970s. Farewell to ski pioneers Morten Lund, Fred Smith, Kim Massie and Robert Launey.